The top Plecostomus fish foods contain at least 30 percent animal protein, usually a mix of fish meal, krill meal, and Spirulina as well as certain vitamins and minerals. The best pleco catfish foods consist of stabilized Vitamin C. Wondering about catfish diets? This review will help with what and how to feed Plecostomus. Plecostomus food vegetables include cucumbers and zucchini but there are a number of complete nutrition pleco foods on the market, let’s take a look at them below. Are you wondering how to feed Plecostomus? Well the good news is there many brands of Plecostomus fish food to choose from. Many people prefer to prepare Plecostomus food vegetables themselves but now there foods available that provide a complete source of nutrition. Learn about Plecostmus fish food from the top 12 brands on the market today. Pleco fish, otherwise known as the Plecostomus, are one of the most popular aquarium catfish species in the hobby. The actually formal name for this catfish is Hypostomus Plecostomus. Pleco catfish are available in many different species and they can range from small to very large species sporting beautiful fins and vibrant color patterns. Because Plecostomus are omnivorous feeders and will consume algae, aquatic plants, small crustaceans and other items. As they are considered herbivorous as well it’s no surprise that a line of products has blossomed just for catfish especially targeting algae and Spirulina. With that said many catfish food manufacturers’ produce alge and Spirulina based wafers, sinking pellets and crisps just for them. In fact we reviewed 12 Catfish food brands for their benefits and features below. These complete foods are concentrated with algae specifically targeting tropical bottom feeders like Plecotomus catfish. Many of these foods are now available in re-sealable bags and containers and are enriched with vegetable proteins and Spirulina algae which mimic their natural diets. Other benefits are pleco foods are now designed to be slow dissolving with no preservatives and no hormones. They even make a block for slow release feedings perfect for vacation use. The top pleco foods for aquarium fish contain Spirulina algae or algae in general as significant base, as well as certain vitamins and minerals. The best Plecostomus foods consist of small pellets or wafers both of which are sinking and dissolve slowly. Vegetable-loving fish will enjoy the complete nutrition packed into Algae Wafers. This powerful formula is rich in nutrients and stabilized vitamin C to promote resistance to stress and immunity to infectious disease, while still providing total nutrition! The sinking design makes it ideal for bottom-feeders like Plecostomus and of course: algae eaters. Fish Meal, Wheat Flour, Wheat Germ Meal, Starch, Dried Seaweed Meal, Dried Bakery Product, Alfalfa Nutrient Concentrate Dehydrated, Dehydrated Alfalfa Meal, Brewer's Dried Yeast, Soybean Meal, Fish Oil, Krill Meal, Spirulina, Garlic, Dl-Methionine, Chlorella, Astaxanthin, Choline Chloride, Vitamin E Supplement, L-Ascorbyl-2-Polyphosphate (Stabilized Vitamin C), Inositol, Calcium Pantothenate, Riboflavin, Vitamin A Oil, Thiamine Mononitrate, Pyridoxine Hydrochloride, Niacin, Menadione Sodium Bisulfite Complex (Source Of Vitamin K), Folic Acid, Vitamin D3 Supplement, Biotin, Disodium Phosphate, Ferrous Sulfate, Magnesium Sulfate, Zinc Sulfate, Manganese Sulfate, Cobalt Sulfate, Calcium Iodate, Blue 2 (Artificial Color). 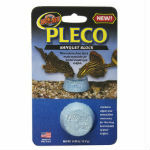 A ZooMed Pleco Banquet block is ideal as a vacation feeder or as a supplemental food for difficult eaters. Time-release food block is made especially for catfish and other sucker-mouth type catfish. Algae, spirulina, calcium, magnesium, and wood fiber provide all the essential nutrients needed for bottom dwellers. One Banquet Block feeds 2 to 3 small catfish or 1 medium to large catfish. 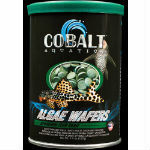 Perfect for saltwater or freshwater tanks. Calcium Sulfate, Plankton, Powdered Cellulose, Spirulina Algae, Magnesium Sulfate, Dicalcium Phosphate, Niacin, L-Ascorbyl-2-Polyphosphate (stabilized Vitamin C), Thiamine Hydrochloride, d-Calcium Pantothenate, Pyridoxine Hydrochloride, Biotin, Beta Carotene. Fish Meal, Wheat, Rice Flour, Wheat Bran, Dehulled Soybean Meal, Wheat Germ Meal, Spirulina, Dicalcium Phosphate, Dehydrated Alfalfa Meal, Carrot, Celery, Beet, Parsley, Lettuce, Water Cress, Spinach, Dried Brewers Yeast, Soy Lecithin, Pea By-Product Meal, Dried Kelp, Shrimp Meal, Krill Meal, L-Lysine, Manganese Proteinate, Zinc Proteinate, Copper Proteinate, Calcium Iodate, Iron Proteinate, Cobalt Proteinate, Calcium Carbonate, Sodium Selenite, Vitamin A Acetate, Vitamin D3 Supplement, Dl-Alpha Tocopheryl Acetate (Vitamin E Supplement), Vitamin B12 Supplement, Riboflavin, Niacin, Calcium Pantothenate, Menadione Sodium Bisulfite Complex (Source Of Vitamin K Activity), Folic Acid, Thiamine Mononitrate, Pyridoxine Hydrochloride, Biotin, L-Ascorbyl- 2-Polyphosphate (Source Of Vitamin C), Dl-Methionine, Artificial Color. Wheat Germ Meal, Feeding Oat Meal, Corn Starch, Dehulled Soybean Meal, Cellulose, Potato Protein, Dried Yeast, Wheat Gluten, Algae Meal, Soybean Oil, Monobasic Calcium Phosphate, Guar Gum, Yeast Extract, Ascorbic Acid (Source of Vitamin C), Inositol, Niacin, L-Ascorbyl-2-Polyphosphate, A-Tocopherol-Acetate (Source of Vitamin E), D-Calcium Pantothenate, Riboflavin-5-Phosphate (Source of Vitamin B2), Thiamine Mononitrate (Source of Vitamin B1), Pyridoxine Hydrochloride (Source of Vitamin B6), Vitamin A Palmitate (Source of Vitamin A), Biotin, Cyanocobalamin (Source of Vitamin B12), Cholecalciferol (Source of Vitamin D3), Manganese Sulfate Monohydrate, Zinc Sulfate Monohydrate, Ferrous Sulfate Monohydrate, Cobalt Nitrate Hexahydrate, Color Includes: Blue No. 2 Lake, Yellow No. 5 Lake, Yellow No. 6 Lake, and Ethoxyquin as a preservative. Marineland Zucchini and algae meal make these extra-large sinking wafers simply irresistible to all your veggie-loving bottom-feeding fish. These highly nutritious, Vitamin-C-fortified sinking wafers provide substrate grazers of all sizes the nutrients essential for superior growth and long-term health. 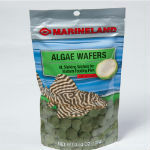 Easy-feed Marineland Algae Wafers will not affect water clarity. 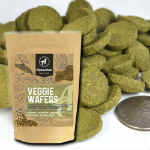 Extra-large sinking wafer food rich in zucchini and algae meal for veggie-loving bottom-feeding fish. Highly nutritious and fortified with Vitamin C for superior fish growth and long-term fish health. 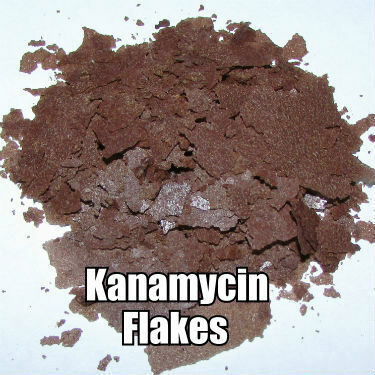 Wheat Germ Meal, Feeding Oat Meal, Corn Starch, Dehulled Soybean Meal, Cellulose, Potato Protein, Dried Yeast, Wheat Gluten, Algae Meal, Soybean Oil, Zucchini, Monobasic Calcium Phosphate, Guar Gum, Yeast Extract, Ascorbic Acid (source of Vitamin C), Inositol, Niacin, L-Ascorbyl-2-Polyphosphate (Stabilized Vitamin C), A-Tocopherol Acetate (source of Vitamin E), D-Calcium Pantothenate, Riboflavin-5-Phosphate (source of Vitamin B2), Thiamine Mononitrate (source of Vitamin B1), Pyridoxine Hydrochloride (source of Vitamin B6), Vitamin A Palmitate (source of Vitamin A), Biotin, Vitamin B12 Supplement, Cholecalciferol (source of Vitamin D3), Manganese Sulfate, Zinc Sulfate, Ferrous Sulfate, Cobalt Acetate. Added Color: Blue 2 Lake, Yellow 5 Lake. Ethoxyquin (as a preservative). A hard and compact wafer these will last a while allowing your bottom feeders a chance to feed. A wafer is a good choice when there are faster top feeders who hog all the food. 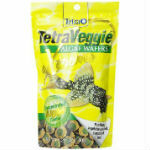 Feed our Veggie Wafers to plecos, catfish, loaches or any omnivorous bottom feeding fish that appreciate veggies in their diet. Wheat Flour, Fish Meal, Wheat Germ, Alfalfa Meal, Soy Meal, Mixture of Plants and Vegetables Including: Seaweed, Spirulina, Celery, Carrots, Squash, Spinach and Broccoli, Dried Spirulina, Plankton, Shrimp & Krill Meal Mix. Vitamin/Mineral supplements & Stabilized Vitamin "C", No Preservative. Guaranteed Analysis 35% Protein 6% Fat 5% Fiber 6% Moisture. Fish meal, soybean meal, wheat flour, broken rice, kelp meal, alfalfa, brewers yeast, salmon oil, wheat gluten, Spirulina, lecithin, minerals, vitamins [ascorbic acid (vita C), alpha-tocopherol acetate (vit E), vitamin A, pantothenic acid, pyridoxine (vit B2), folic acid, retinol (vita A), cholecalciferol (vit D3), biotin, cyanocobalamin (vita B12), menadione sodium bisulfite (vita K3)], amino acids and calcium propionate (preservative), potassium sorbate (preservative), ethoxyquin (preservative). 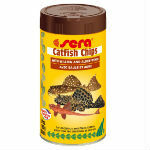 Sera Pleco’s Crisps are for any type of rasping catfish. Mainly herbivorous catfish such as the Loricariidae are optimally fed with these quickly sinking and shape retaining food chips. Even shy and fastidious catfish accept the food immediately. The integrated wood fibers perfectly imitate the natural diet and positively influence the digestion process. The food keeps its shape for a long time and does not cloud the water. Contain Willow and Alder Wood essential for the health of your rasping catfish! Learn more. 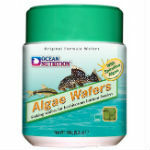 Algae wafer - Spirulina blue-green algae, Green Pea, wood products to encourage natual eating habits. Promoted natural scraping habits of Plecos and other catfish. Green Pea Protein based, fast sinking, slow dissolving, wafer for Plecos and other herbivorous cats. Slow Dissolving. No Preservatives, No Hormones. Green Pea, Fish Meal, Herring Meal, Kelp Meal, Shrimp Meal, Rice Meal, Spirulina, Brewers Dried Yeast, Paprika, Lecithin, Marigold Extract, Fish Oil, DL-Methionine, Canthaxanthin, Astaxanthin, Inositol, Beta Carotene, Vitamin E Supplement, Biotin, Niacinamide, Calcium Pantothenate, Riboflavin, Folic Acid, Vitamin B12 Supplement, FD&C Red #40 Selenium Yeast, Manganous Oxide, Ferrous Sulfate, Zinc Oxide, Thiamine Mononitrate, Vitamin A Acetate, Calcium lodate, Pyridoxine Hydrochloride, Vitamin D Supplement. 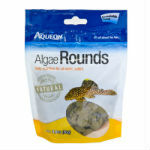 Aqueon Algae Rounds contain natural vegetable sources, such as spirulina and kelp that algae eaters prefer. All the nutritional essential for a wide array of tropical fish. Balanced nutrition for daily feeding of Plecostomus and other algae eaters. Whole Fish Meal (Whole salmon, herring & other mixed fishes), Whole Wheat Flour, Dehydrated Alfalfa Meal, Spirulina, Soybean Meal, Whole Dried Krill, Kelp Meal, Wheat Gluten Meal, Corn Gluten Meal, Fish Oil, Spinach, Garlic, Dicalcium Phosphate, Choline Chloride, Calcium, Propionate (a preservative), L-ascorbyl-2-polyphosphate (source of vitamin C), Vitamin A, Acetate, Cholecalciferol (source of vitamin D3), Riboflavin Supplement, Vitamin B12 Supplement, Niacin, Menadione Sodium Bisulphite Complex (source of vitamin K activity), Folic Acid, Thiamine, Pyridoxine Hydrochloride (B6), Calcium Pantothenate, Biotin, DL-Alphatocopherol (E), Manganese Sulfate, Cobalt Sulfate, Ferrous Sulfate, Copper Sulfate. 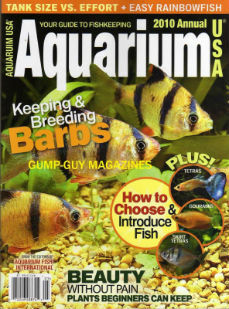 Justcichlids.com has hundreds of listings for nonperishable foods for aquarium catfish as well has hundreds of species of live catfish for sale. 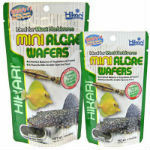 Start your search by entering a generic query like "pleco wafers" or a more specific query like "Hikari algae wafers" into the search box. 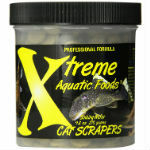 Our built in search engine will show results for a large variety of Plecostomus fish food at the lowest prices online. Select the type of food based on pellets, wafers and crisps. Most catfish food are offered as sinking because catfish are bottom feeding scavengers but they will not hesitate to rise to the surface during feeding time. To improve a catfish's life span and enhance its health, look for fish food packed with algae or Spirulina and other vitamins like stabilized Vitamin C. Multiple varieties of Plecostomus food are available conveniently on JustCichlids.com.